With its enchanted storybook look beautifully translated into 3D, lush, vibrant colors, funny enemy designs, and clever jumping puzzles, Rayman 2 is platforming perfection. Michel Ancel's platformer shines the brightest on Dreamcast, but every version is a charm. No arms, no legs, no problem for the little French creation that could. 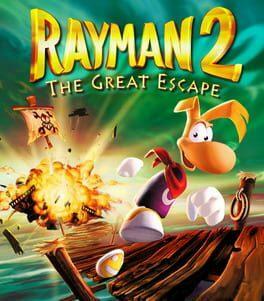 Rayman 2: The Great Escape is available from 3.99 to 3.99 from 1 shops.